Dorset Fire and Rescue along with Hampshire Fire and Rescue are attending a thatched roof fire that occurred earlier this morning. A total of eleven fire engines are in attendance to tackle the blaze. Reports suggest that the main road has been closed as a result of the fire. Keep updated on Hampshire Drivers on Facebook. 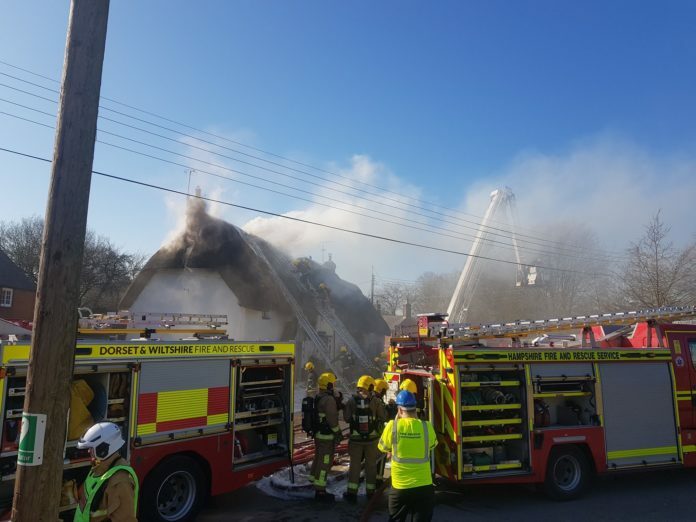 Dorset and Wiltshire Fire and Rescue Service said on Twitter that they currently have currently has 11 Fire Appliances and other specialist vehicles at the scene of the fire. The road that travels through Haxton, Heathavon, has been closed at the junction with Mill Road and Lower Street.